Waist size is the actual measurement around your belt loops, not pant size. Pant size varies and can be several inches different than the actual circumference of your waist. Measure your waist around your belt loops and order that size, we will take it from there. For IWB carry, measure with AND without your gun and magazines. We recommend splitting the difference or ordering the larger size. These belts are made with a short tail to maximize area usable for gear. Therefore, the amount of adjustment is approximately 2″ down and 2″ up from the size you order. 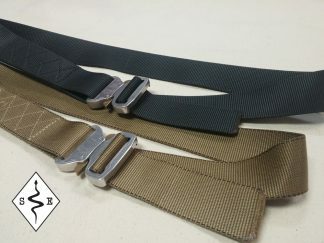 If you plan to use this belt with a padded belt system, please measure through the padded belt while wearing it over any other belts or gear you plan to be using it with, then order that size. Our Cobra Riggers belt follows in the tradition of the original riggers belts, but with updates in hardware and refinements in style. First,we use the Austrialpin Cobra buckle exclusively. This is simply the best buckle money can buy. It is extremely strong with a 4000 lb breaking strength, and it will not open when under load, making it very safe. It is made from Aluminum so it is light weight and will not rust. Second, we have eliminated all unnecessary hardware, such as the steel V-Ring that early riggers belts featured. This eliminates weight and clutter from the belt. Instead, our belts feature a 2″ opening next to the buckle in the event the user needs to clip into an anchor. Third, we add style. There is nothing wrong with looking good. We add a touch of class to our belts with various decorative stitch patterns. These patterns not only set our belts apart from all of the mass produced riggers belts on the market, but add rigidity to the belt without affecting flexibility or comfort. Two layers of Type 13 Resin Treated parachute webbing. Width is 1.75″. 5″ adjustment range. 2″ down and 3″ up from the size ordered. If you carry IWB, add 1″. Short tail doesn’t interfere with pistol holsters. A removable 1.5″ elastic keeper keeps the tail secure. 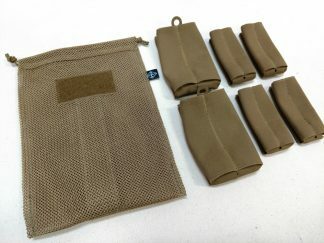 Colors: Black, Ranger Green, Coyote Brown, Multicam, A-TACS AU and FG. The Black comes with a Matte Black anodized buckle, all other colors come with the new Hardcoat Cobra which wears well and does not chip like the powder coated buckles. The Hardcoat buckle is a very attractive bronzish brown color. WARNING: These belts are extremely strong, and we periodically test our belts for strength, but they are not certified or intended for life safety. The user assumes all liability resulting from the use or misuse of these belts. 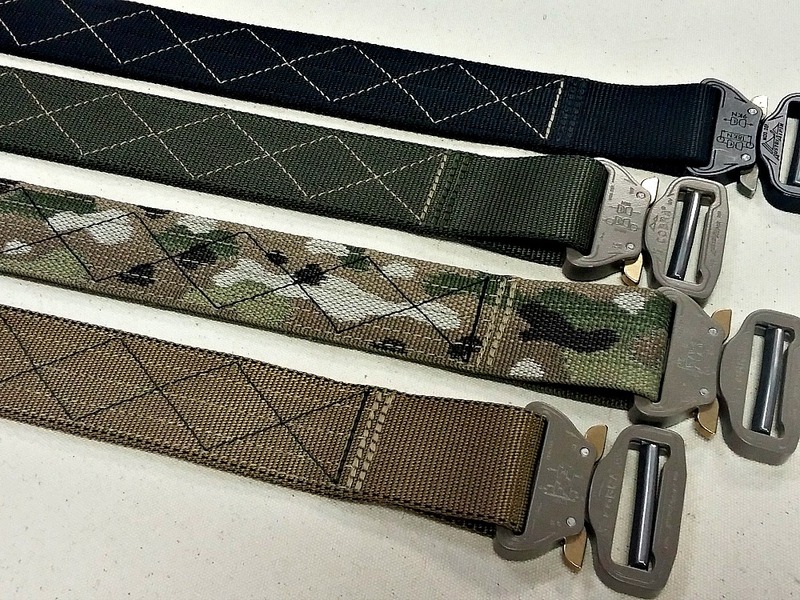 Snake Eater Tactical intends for these belts to be used for holding up pants and personal gear, not human being. These Cobra riggers belts currently ship in 4 to 6 weeks. Read the review on Black Sheep Warrior. I just recently purchased the 1..75″ EDC belt. 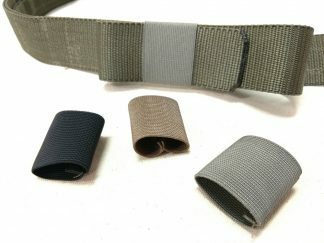 I had searched on line a while to try to find a sturdy, well made and nice looking belt to use for my local IDPA shoots. I am a female novice but know the importance of purchasing a good belt. I initially called and spoke with Chris who was so patient and helpful. I needed assurance the product I was buying would be what I needed and wanted. He offers so many nice options to customize your belt. Well I chose the black with tan stitching belt with the ELEPHANT color buckle. When it arrived, I was more than pleased. The belt is very sturdy and looks great! I will use it my first time this weekend and I will update on how well it performed. Thank you SnakeEater Tactical and Chris! Never had a better EDC belt in my life. So comfortable. Looks bad a. The best feature for me is actually how you can always adjust the belt size so if you lose weight or gain weight or are just adjusting it to fit a certain way you can do it. I have the 1.75″ Coyote straight stitched belt. Its everything you want in an EDC belt. Very reliable. My holster would slip off my old belts, but this one holds great. I originally heard about Snake Eater from a YouTube channel called Last Line of Defense. Anyways, great company. Will come back to you guys for life. Now I just want to get more of your stuff.